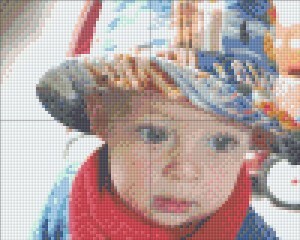 I took one of my favorite photos of my grandson, Peter James, and uploaded it to Pixel Hobby. 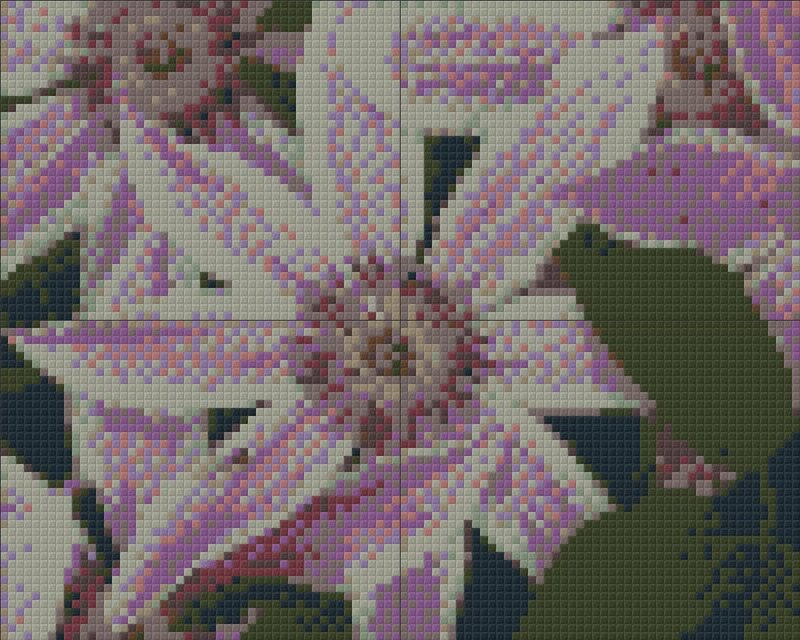 The original pallette called for 100 colors, but I reduced it to 52. Will I ever stitch this or make a mosaic? I don’t know, but the software sure is cool and it’s FREE! 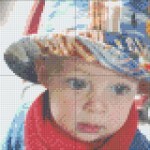 Get it at www.pixelhobby-usa.com. Filed under free download, Pixel Hobby, PJ |	Comments Off on PJ in Pixels! It’s no secret that I’ve had the itch to cross-stitch lately. I’ve also always enjoyed charting my own designs. I know there’re several software applications that will do that for you, now, but I don’t know if I design enough to warrant their purchase. 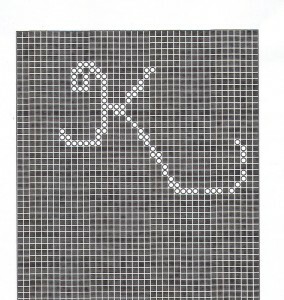 This cursive K was done with free software called “Pixel Hobby.” The intent of the software is to design a chart for mini mosaics. 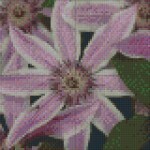 You can download this software directly from their website, http://www.pixelhobby-usa.com/ . It has two options: you can download/upload a photo to be “pixellated” or you can draw your own design using the mouse. 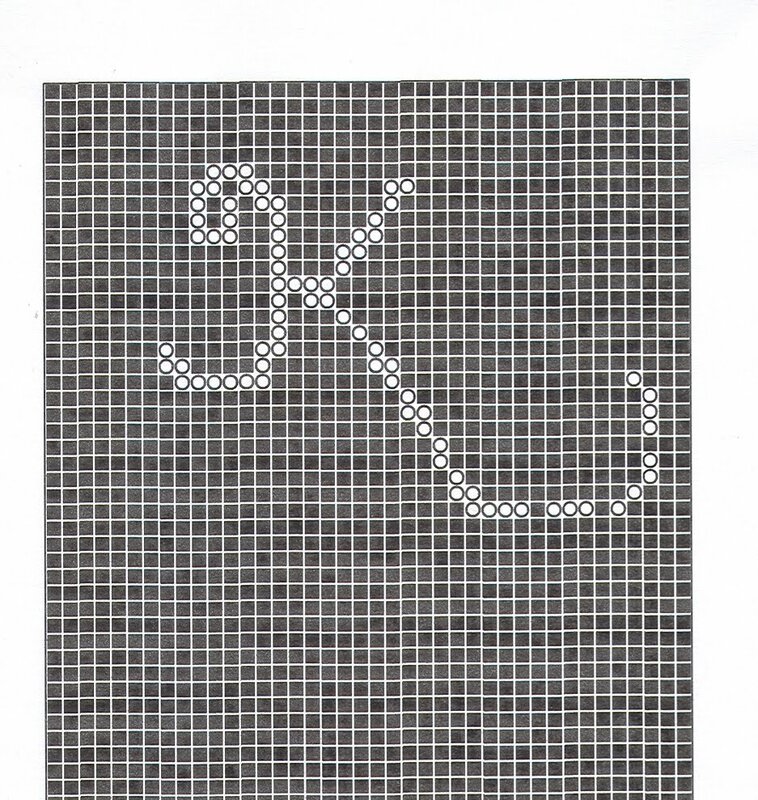 I wrote this “K” on the mousepad of my laptop with my finger. After saving it and printing it, I scanned it so it should be in JPEG format, now. The software has a send to JPEG command, but I can’t find out where it sends it, yet! 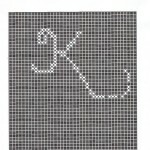 If you are in need of a capital K to stitch for someone (Kimberly!) help yourself! Just right click on the graph and choose, “Print Picture,” or “Save Picture As” to save it to your computer!